Scan business cards, plastic ID cards; 30 user-definable scan jobs; scan directly to the cloud in one-touch; A3 scanning without carrier sheet; optional network interface. 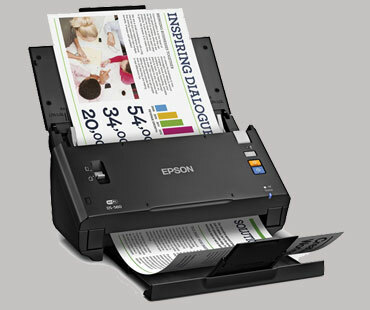 45ppm/90ipm, 80 page document feeder. Ultrasonic double-feed detection and 4,500 page/day duty cycle for performance and reliability.